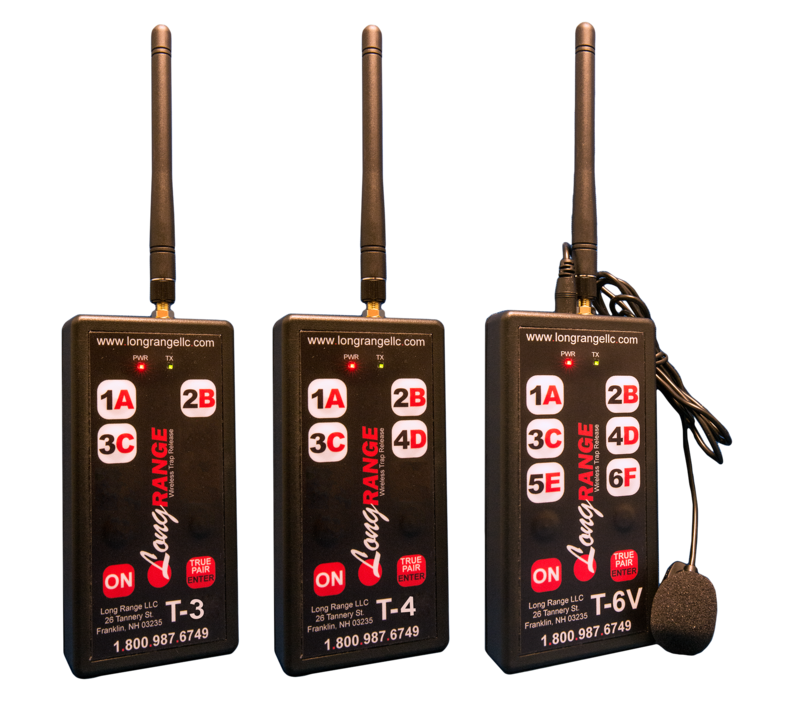 Long Range now offers 3 trap, 4 trap and 6 trap digital transmitters, built with the same features and technology as the T-8 Transmitter. Each Transmitter has the options for voice control as well. See pricing below. Will launch singles, true pairs and report pairs. Pressing the "True Pair" button allows you to select multiple traps and fire them simultaneously by again pressing the "True Pair" button. Remove the microphone and the unit reverts back to a regular transmitter (Voice Operated Transmitter Only). Unique "Lock On" features enables you to choose any of the traps and just keep calling for the target. Eliminates the need to keep pressing buttons to arm the unit.